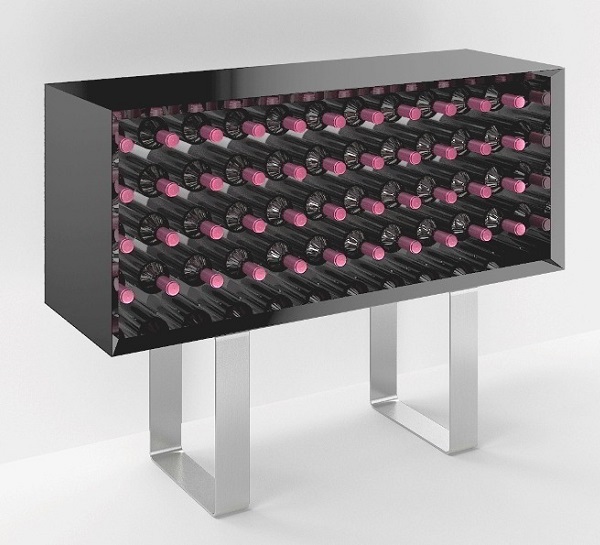 It is made with great care to details, it is a wooden stylish and functional wine rack holding up to 44 bottles, all safely lodged in individual stainless steel holders. Bottles are stored individually allowing fetching the needed bottles easily without disturbing or re-arranging other bottles. The bottles are stored individually allowing fetching the needed bottles easily without disturbing or re-arranging other bottles.